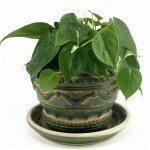 You are here: Home / Common Houseplants / Where Are Poisonous Plants Found? Where Are Poisonous Plants Found? 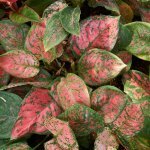 It may seem like there is an obvious answer to the question, where are poisonous house plants found, but let’s look a little deeper into the question. There are tons of retailers who sell plants and tons of places to grow plants. 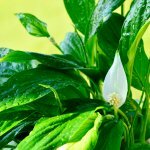 There are many places that they could come from and it is important to know where poisonous house plants come from so that you can figure out how to better identify other plants that may be poisonous. 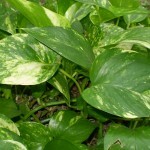 Poisonous house plants are usually found in tropical areas or originate in areas that are tropical. The plants usually like a warm temperature when they grow and bloom. There are many flowers and plants that need the warmth and humidity in order to survive. However, poisonous plants aren’t always exclusive to tropical weather. 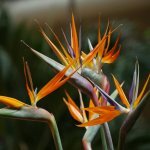 A type of flower that may seem like it needs a tropic area to survive, birds of paradise, don’t need warm weather to live. They can actually get down to almost twenty degrees before they can’t live any more. You can buy poisonous plants at any gardening store. Most people don’t realize how dangerous plants can be, but they know that the plants look pretty and beautiful and so they buy them. People don’t realize that many plants like chrysanthemums, azaleas, and amaryllis are all poisonous. They are some of the most popular flowers and plants, but they are also very poisonous. If you have children, you should be very much aware if you have poisonous plants. Children, especially toddlers, who are exploring literally everything and will eat a plant, don’t know that it could really hurt them. If you have children please make sure that the plants are away from them if you choose to keep them. Plants look lovely in a home, but children are more important. If you think that you may have a poisonous plant in your home, there are lots of ways that you can figure out if you do or not. There are websites where you can type in a plant name and figure out if your plant is poisonous or not. Just search for one in a search engine on the Internet. If you don’t know what type of plant you have, try taking your plant to a nursery or gardening store. The associates there will be able to help you figure out what type of plant it is. Check your plants often. New information comes out all the time and so you should be checking your plants to make sure they aren’t poisonous. There are tons of lists available online to check your plants. Also, many plants now will come with tags that say how much to water them, how much sunlight they should have, and if they are poisonous or not. Even trees will sometimes have that information on them. Check before you buy anything and before your children decide to eat the plant or bite it’s leaves.